I have a dedicated blog space on the Nell Gavin website where I actively encourage all visitors to the site to submit their writing to. If this sounds like something of interest to you, look through this helpful article and then get in touch with me at [email protected]. Having worked successfully as a woman in the business industry for so many years now, I’ve come to the realization that when we all come together as a group, we have the fantastic ability to empower one another. This industry can be robust at times for everyone. However, when you are a woman trying to make it in such sectors there is an added pressure to do well, and usually, as you juggle several other roles at the same time! 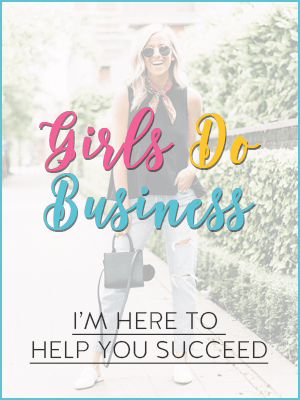 By combining your very own expertise, skills, and overall knowledge into a blog post, you too could offer your valuable help to other women who are looking to get the best from their careers. How Do I Market Myself as a New Entrepreneur? What Type of Office Do I Need to Start My Own Business With? What Accountancy Packages Are Good for New Starters? As a way of saying thank you for the time you have taken compiling your article, I aim to make sure you get some accolade all of your own as well! For every guest blog post which I publish on the site, I will pay credit to the author. This way, when people click on your article to read it, they will see your name proudly displayed. Additionally, I will also write a small bio about you and your background and, with your permission, mention one of your social media platforms. That way should the readers want to find out more about the person behind the article, they can do so with ease! As soon as you finish compiling your inspiring guest blog post, just email it directly to me at [email protected]. It really couldn’t be any easier to get your post up and running on this website!